It was never easy being an athlete playing for a New York-based team. Throughout history, some of the biggest athletes in their respective sports were met with boos and general hostility from NYC fans. The latest athlete to receive a particularly nasty NYC welcome was Kristaps Porzingis, a Latvian power forward who was drafted at #4 by the Knicks at this year’s NBA Draft. 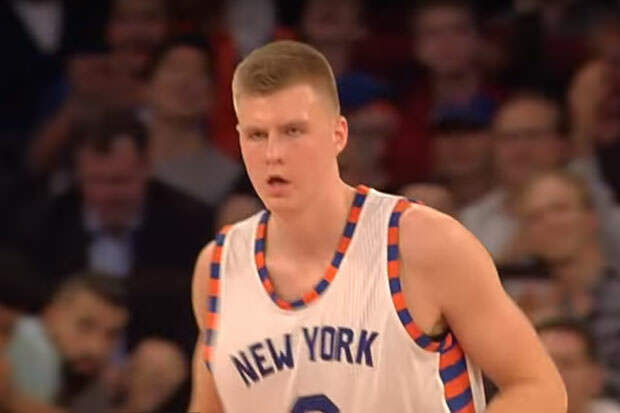 The vast majority of New York Knicks fans booed the decision of the front office to draft the young European and following the draft, it was open hunting season on poor Kristaps, with everyone trying to come up with their own set of jokes. Since the season started, however, the opinion started to turn and the Knicks fans have started to appreciate the young player, his skillset and his passion. It all culminated last night when Porzingis scored a career-high of 29 points in the Knicks’ victory over the Charlotte Hornets. It is becoming clear that this is yet another one of those cases where NYC fans get something they do not deserve.